If you didn't buy a home in 2013, you may be kicking yourself now, says a CBS MoneyWatch article dated January 1. Home prices climbed nationally an average of 13.6 percent in 2013. (Read the report here.) 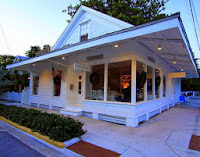 The Key West market showed a similar increase of 13.8 percent in 2013, according to the Key West Association of Realtors. Condos and Townhomes actually went up 21.2 percent over the year! So why would those statistics make you want to buy a home in 2014? I'll tell you why. Because market forecasters predict 2014 will be another year of gains for the real estate market, despite the cooling of the rapid pace of sales at the end of 2013. Home prices are expected to rise 3 percent to 5 percent this year. That may not sound like a lot, but when you're dealing with hundreds of thousands of dollars, any increase is significant. Additionally, Key West is radically different from the larger real estate markets across the country. Limited inventory (only 150 to 200 homes on the market at any given time) and a desirable location (especially with the winter the rest of the country has experienced), make it difficult to predict what median home prices we’ll be seeing next year. The Key West Association of Realtors publishes a statistical analysis report every month using actual prices and numbers of houses sold in Key West. This is as good as it gets in terms of keeping up with our specific market. You can see these reports all the way back to February 2009 here. The most-recent report, published on March 5, shows an average increase in sales prices of 47.7 percent from Jan. 1 to Feb. 28, 2014 compared to the same time frame last year. The month of January alone showed an 87.3 percent increase from January 2013! Don’t take these numbers too seriously, though; they will likely balance out over the coming months. Higher mortgage rates will dampen the pace of both sales and price gains nationwide, but actually getting a loan will become easier next year. With less demand for refinancing, lenders will have to make up lost business by competing for new buyers and hopefully loosening their lending standards a bit. Nobody can predict exactly what will happen over the next year, but I'd bet on one thing: home prices are rising and will continue to do so on our little island. If you weren’t one of the lucky ones who already bought a home in 2013, don’t make the same mistake in 2014. Now is a great time to invest in Key West! 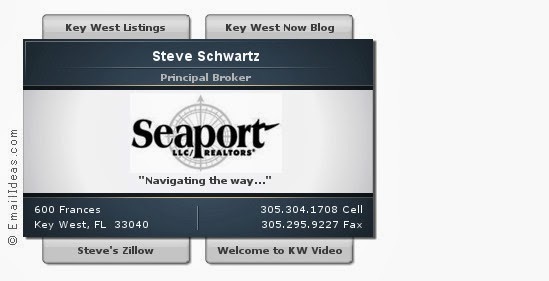 To search Key West homes for sale, visit KeyWestListings.com or give me a call at 305-304-1708. 1407 White Street: Move-In Ready Today!